Henry Nunn Howe was born Bury St Edmunds, Suffolk, England, on 4 March 1839 and came to Australia with his parents in 1852. He moved to Newtown in 1860 when he married Jane Maria Willis. They lived in Church Street, Newtown. Howe died in office on 26 July 1907. Howe was a former Grand Master of the Loyal St John’s Lodge of the Manchester Unity and other oddfellow and Orange organisations. Henry Howe was an alderman on Newtown Council in 1894-1907, representing O’Connell Ward. 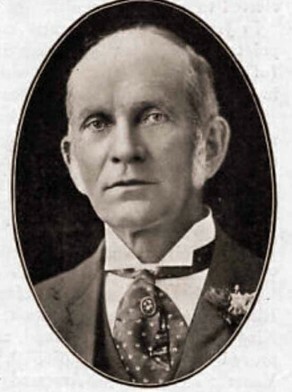 He was mayor in 1906.